Zebulonious' Chance Cubes and Security Systems proudly present this fully extended, lighted and strutted hub for your space station’s growing docking needs. A stock subassembly called 4-2Cube. Built with 53 of the finest parts, its root part is dockingPortLarge. 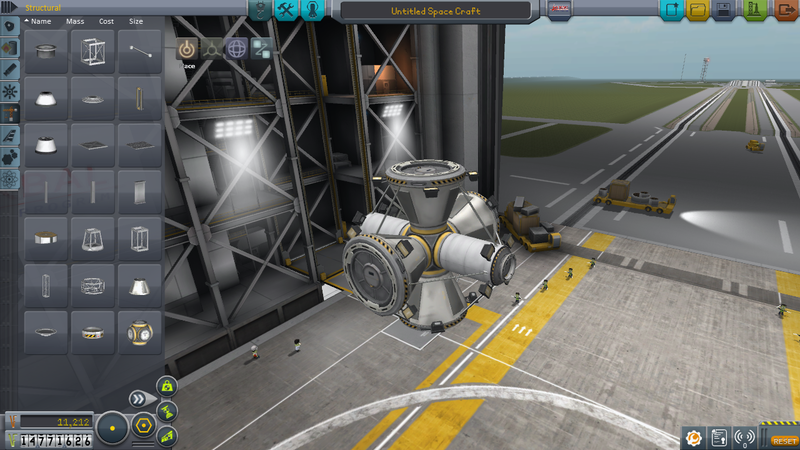 Built in KSP version 1.2.2.